There are 9 posts filed in Practice Centers (). 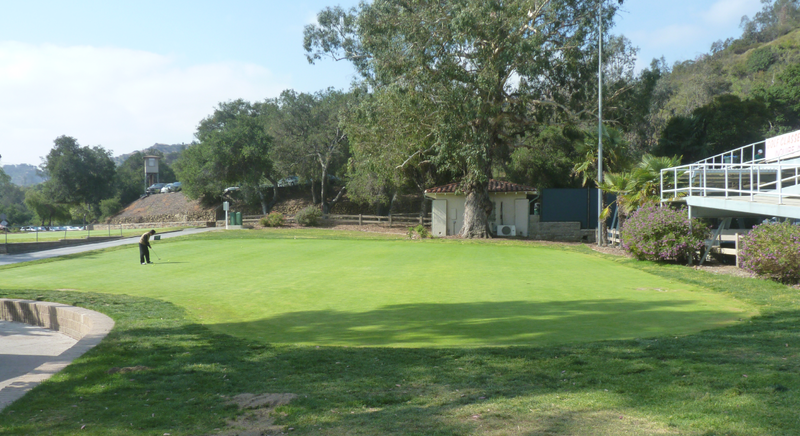 Arroyo Seco is located in the South Pasadena/ Highland Park area. 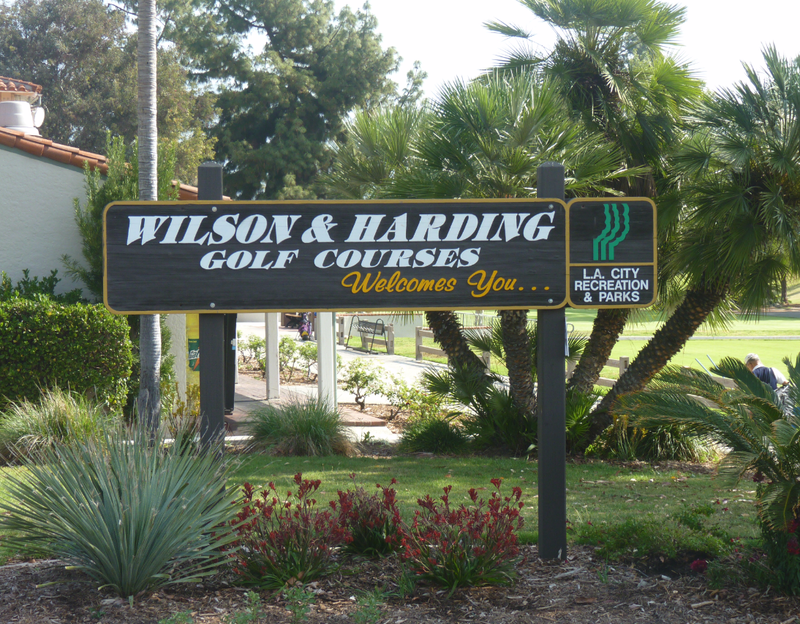 The golfing complex, includes a 18 hole par 3 golf course, driving range, practice putting green, chipping area and a bar/cafeteria. 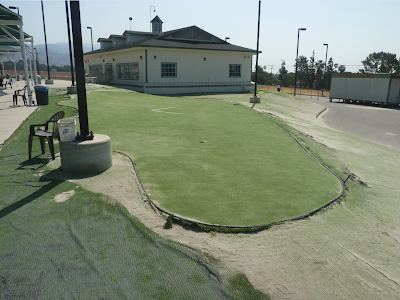 The practice putting green is very large. 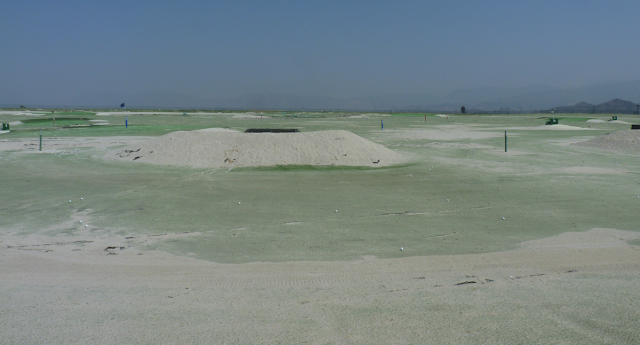 It has multiple hole locations and several people can practice without being disturbed at any one time. 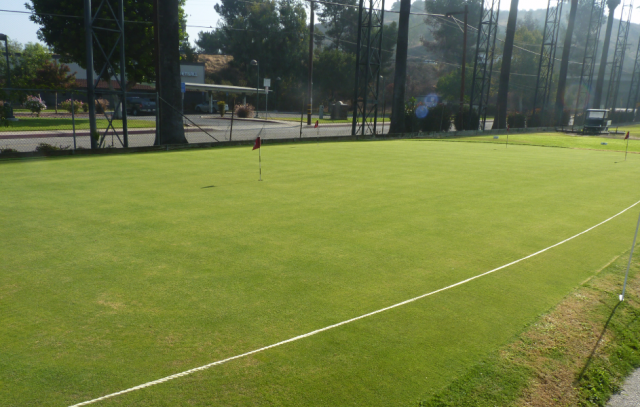 My one gripe with the putting green is that it is very flat. I would much prefer more undulations and elevation changes. 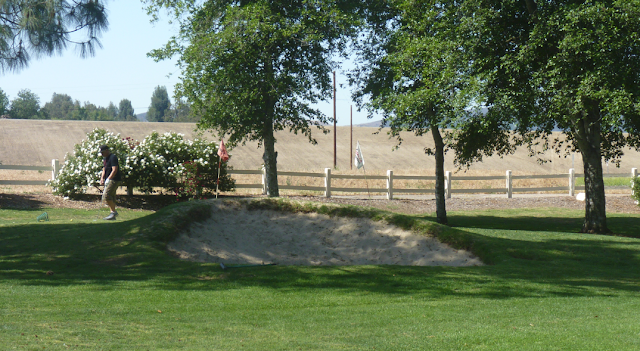 The chipping area is located behind the 18th green. 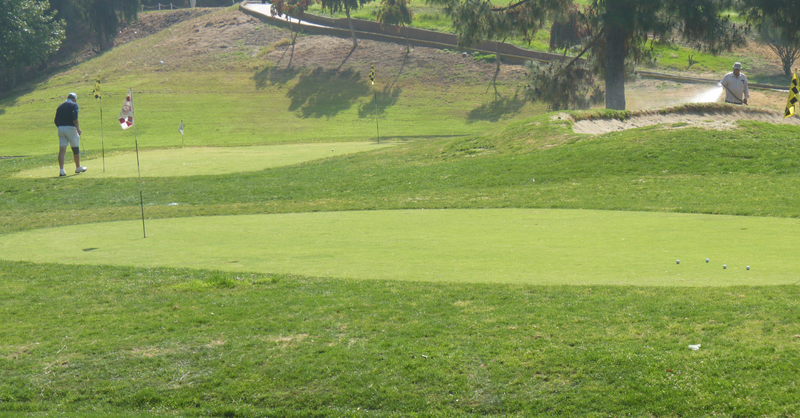 There is basically a small putting surface surrounded by long grass and a small bunker. 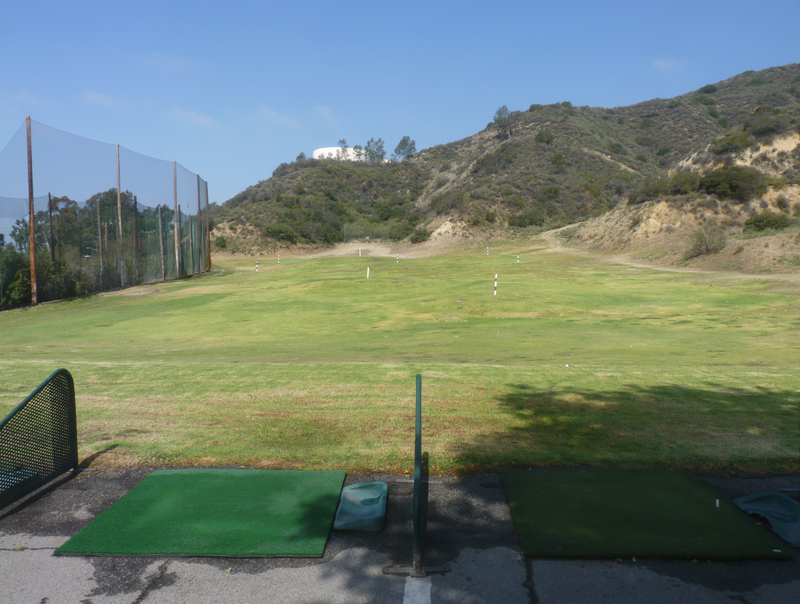 It is adequate, but no where near the standards of the chipping area at the Harding (Griffith Park) range. 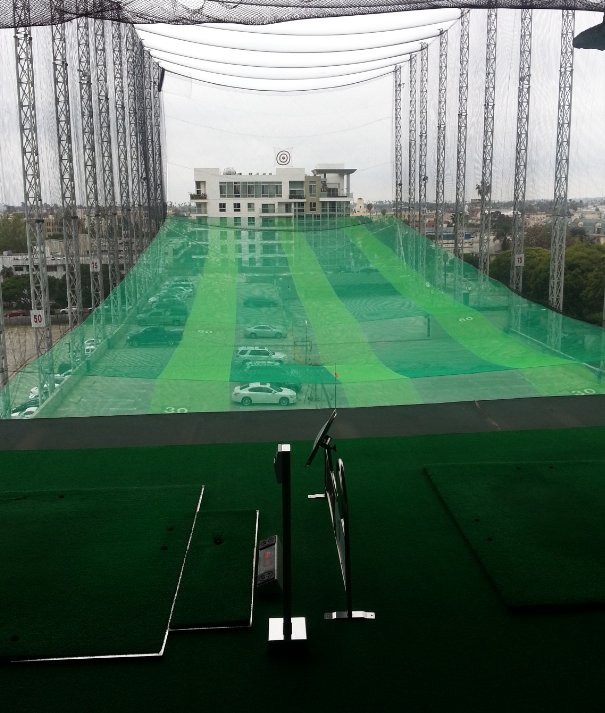 The driving range is quite nice and reasonably priced. 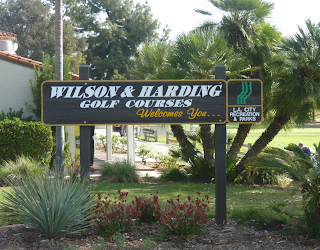 I have had several lessons and enjoyed practicing here. 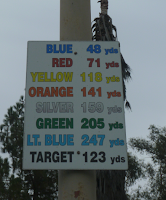 It is of standard length (~250 yards) and there are several markers indicating yardages. 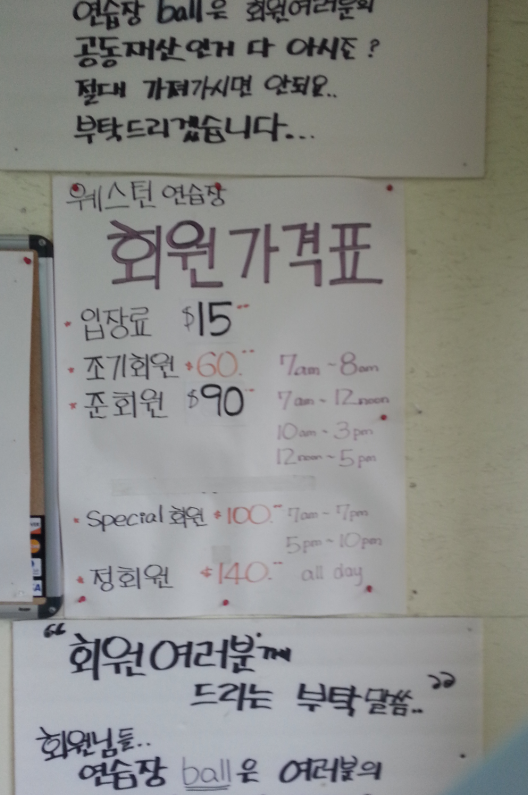 There are about 25 stalls. With about half a dozen of those stalls being undercover. The others are open to the elements and have no roof. It can be hot practicing at those exposed stalls in the summer with no shade being present. Whenever I have been the range has been quiet with lots of stalls available. 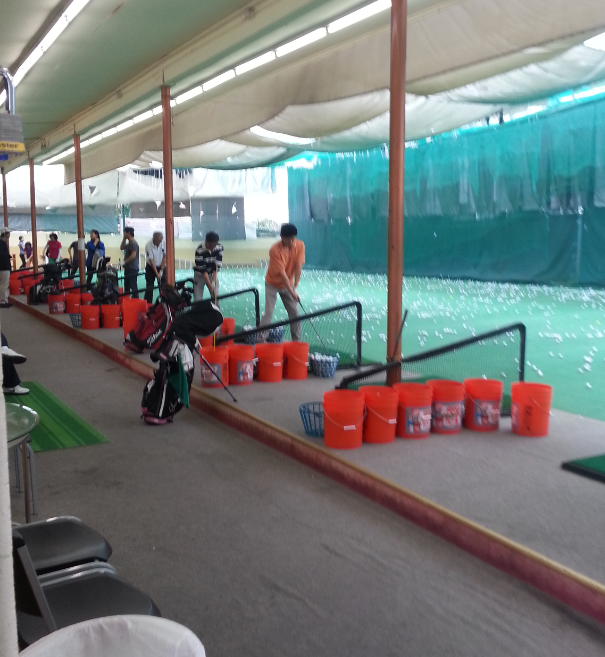 I don’t think I have seen more than 6-8 other people there when I have been practicing. 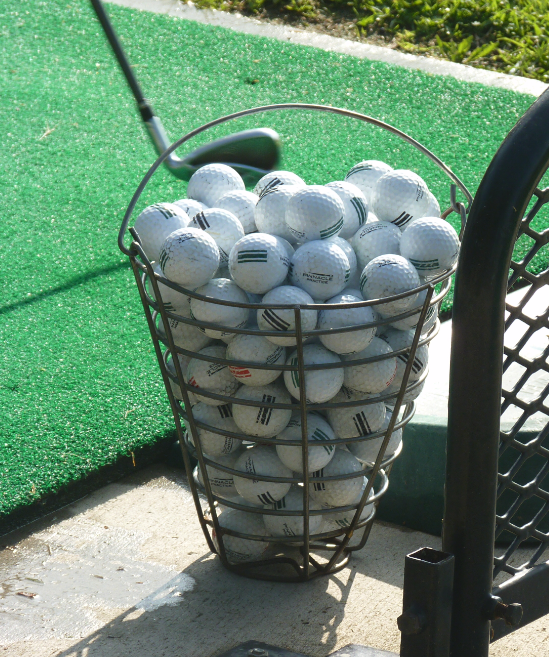 The balls are in good shape. They are white and above average in quality. 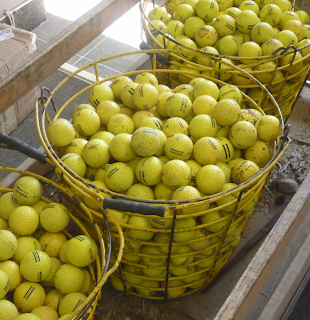 Someone told me that they were limited-flight balls. But I have not confirmed that. 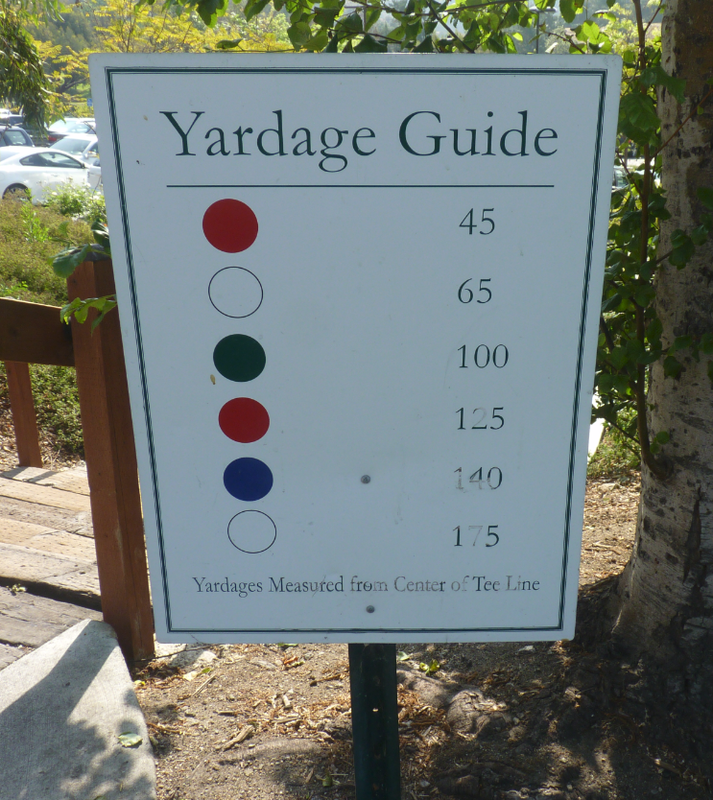 So FYI if you are working on your yardages. You pay the starter who gives you a receipt with a code. 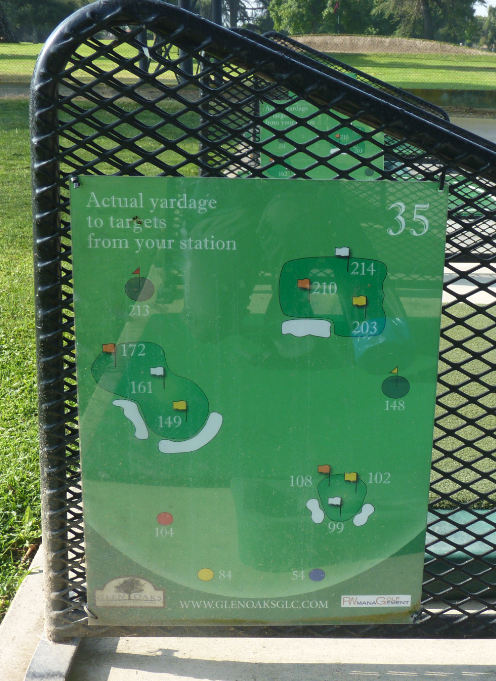 You then go to the ball machine which is located at the center of the range and input the code. 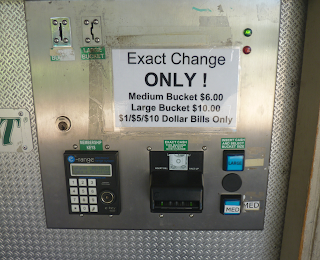 The machine then dispenses the balls into your bucket. 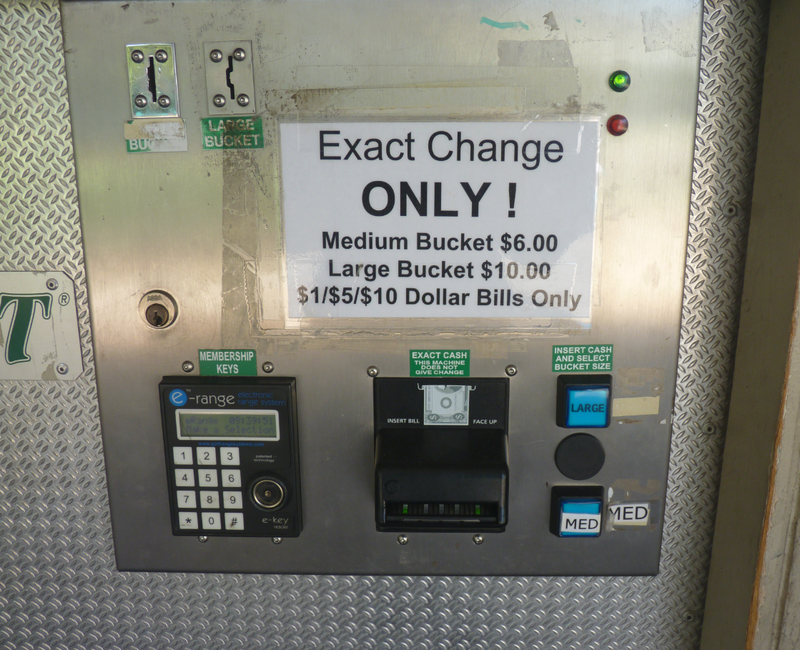 Remember to place a bucket under the machine before you input your code! I am not a big fan of the par 3 course, as you can read in my review for the course. However I do like to practice here. 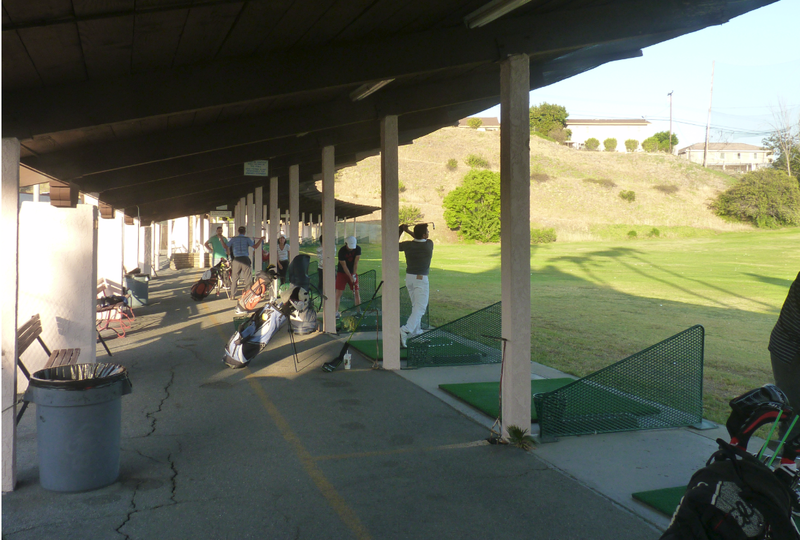 It is one of the better places in the area to practice. 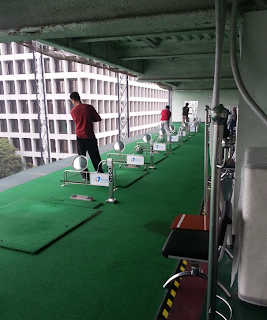 It is generally quiet and has all the facilities which you need to practice. 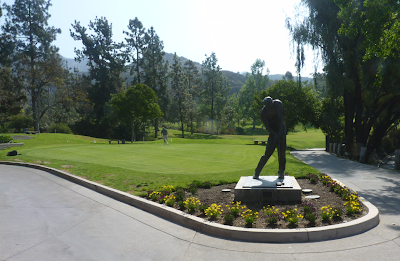 De Bell is a golf complex in Burbank which comprises of a tight and hilly 18 hole 5,633 yard (par 71) course, a small par 3 “pitch n putt” course and a driving range. The par 3 course is at the bottom of the complex off Harvard. The range and par 71 course is up the hill on Walnut Ave, just past the Starlight Bowl. It is really far up in the Burbank Hills. The location is really nice. It is landscaped beautifully and very peaceful. The clientele here is very good. 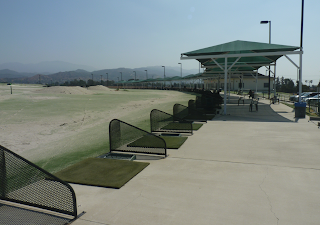 There is a parking lot next to the range. There is usually no problems with parking. However if you go daytime Saturday or Sunday you may need to park a little further on the street. 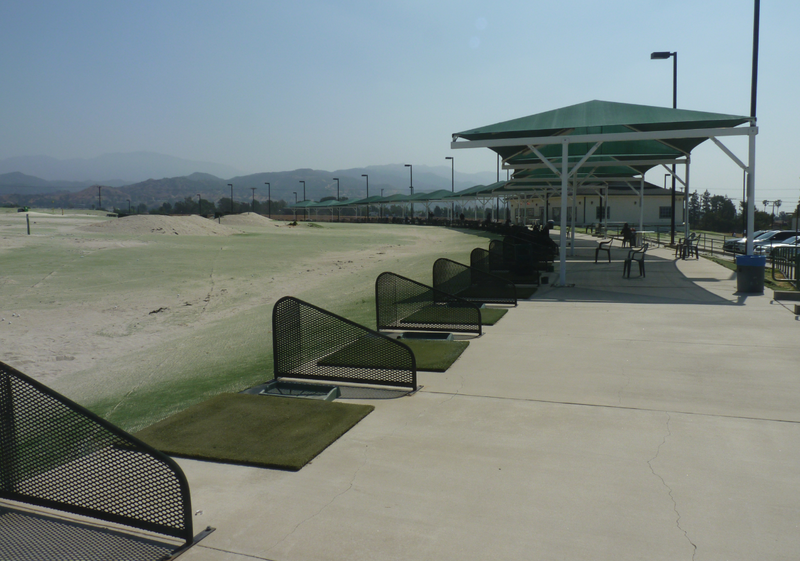 The range is outdoors and is relatively small. There are about 20-25 stalls. You hit of mats, which are in good shape. They provide the plastic tee’s for free. Inside the range office there are buckets of tee’s at all the different lengths. You can just help yourself to whatever they need. Despite being a small range is usually quiet. If you arrive at a peak time (i.e. weekend morning) you may have a short wait. Otherwise it is normally wide open. I have been around 7pm in the evening during the week and only seen may be 5-6 other people there. The range itself is set in the hills. It is short as it is only 175 yards to the mountain at the back. There are lots of targets/ mini greens to hit at. 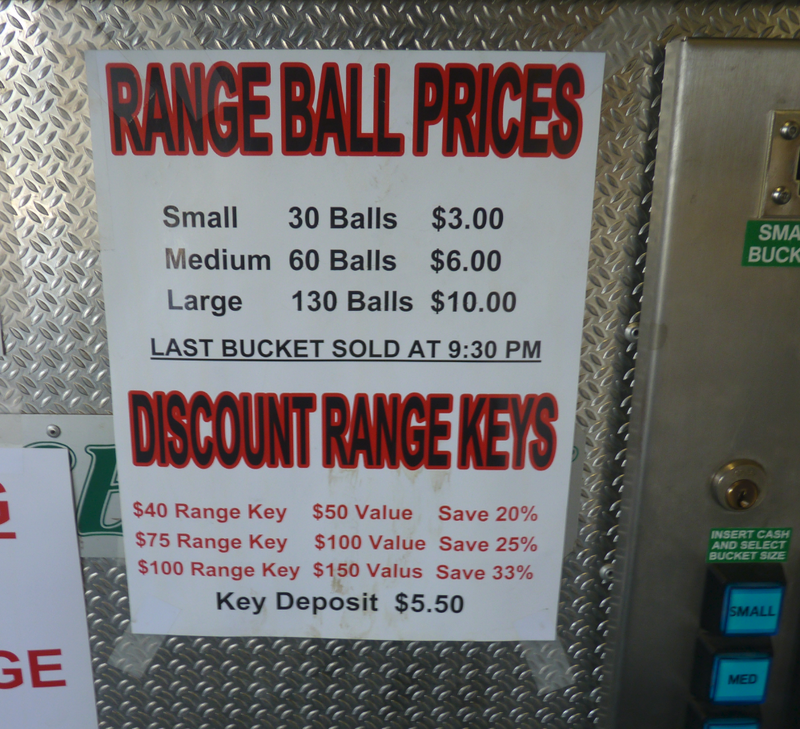 The prices seem standard range prices and they offer discount if you buy in bulk and load up a key. The balls are really great and clean! They are Nike and in A1 condition. 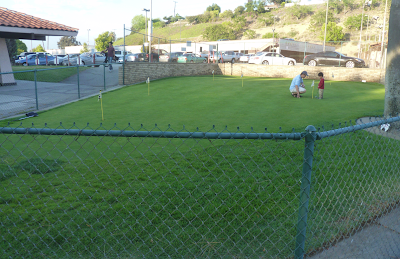 They have a practice putting green outside the pro-shop which is across the street from the range. It is immaculate and runs like a PGA green would. The professional here is Zach Allen. He does lessons and has a strong emphasis on video recording and analysis of your swing. 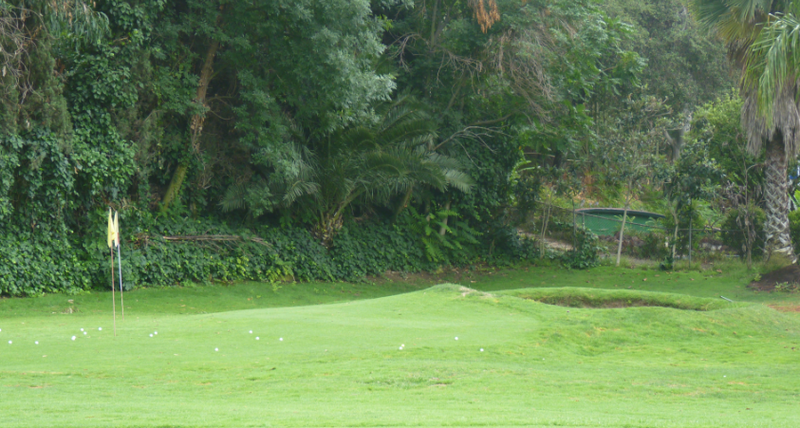 I remember reading a Golf Tips magazine last year and he was named in the top 10 of golf coaches in the USA. This is a very nice range. It is very peaceful up in the hills and everything is nicely taken care of. I just wish that the stalls had some kind of covering. They are open to the elements, so on a summer’s day it can get really hot being out in the direct sun. 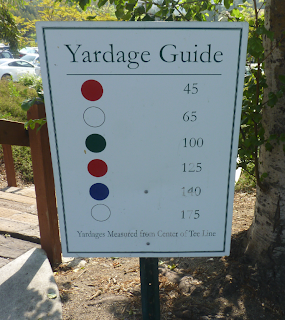 Also I wish it was 50 yards longer. If it was, I would have given it top marks. Other than that I highly recommend this facility. The range is located off the 5 freeway in North Hollywood (although in reality it is more Sun Valley). It is not in the best of areas and overlooks the picturesque cement works. 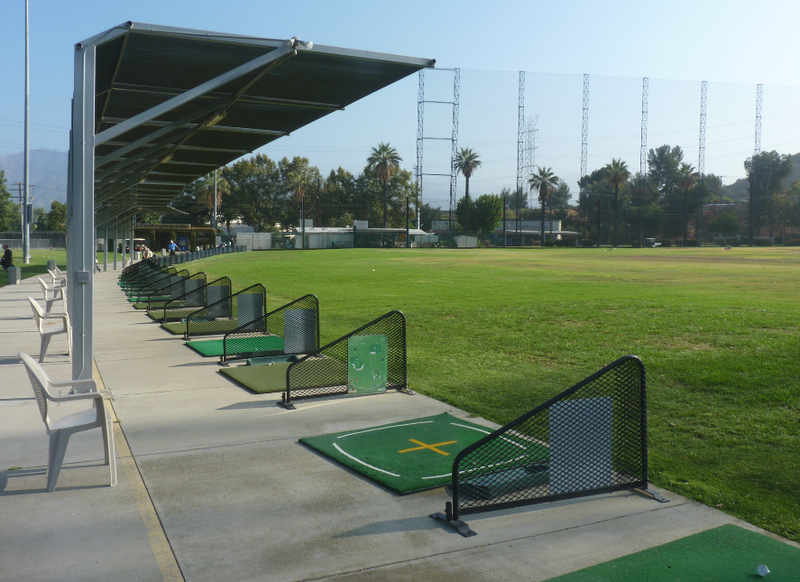 The range has a large parking lot and plenty of spaces. 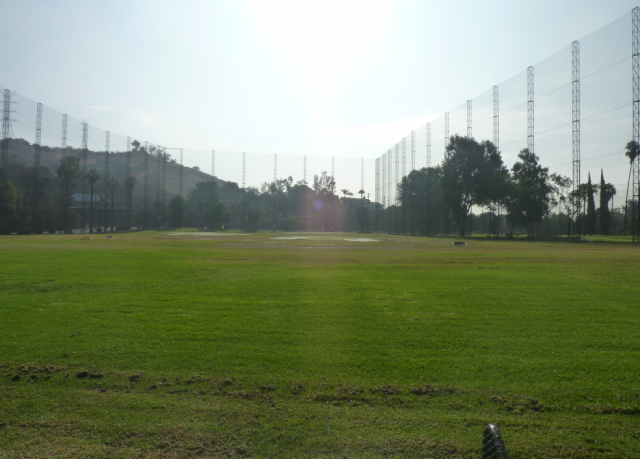 They claim to be one of the best public golf driving ranges in the Los Angeles area. I am not sure who/ how that was determined. I think it may be a tagline which John Wells created themselves to market the business. 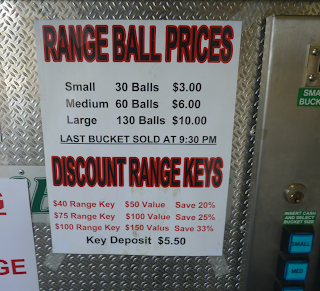 This range is very large (60 stalls). It is single story and you hit off mats. 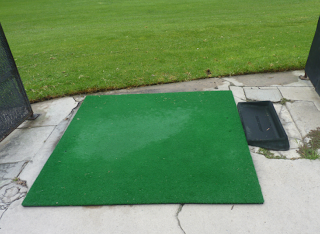 The mats seem to be in decent condition. Whenever I have been to John Wells it has always seemed pretty quiet with plenty of stalls available. They use good quality balls and they seem to be replaced regularly. 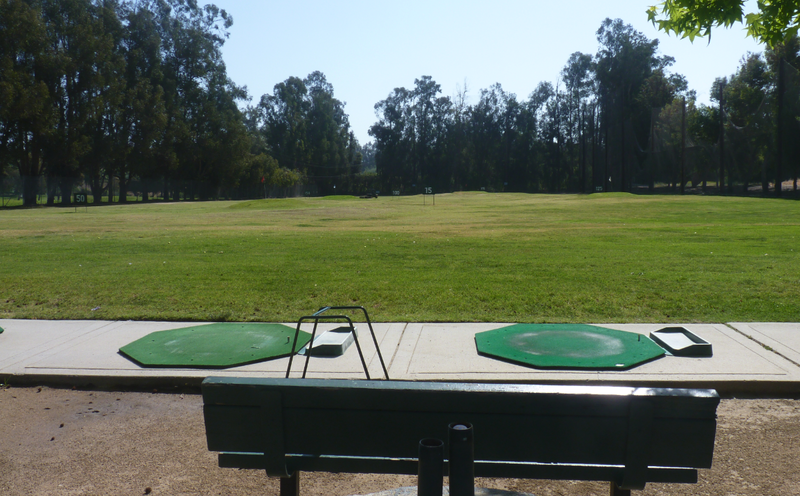 There are plenty of metal picnic tables and chairs behind the hitting area. Allowing you to rest while hitting, or for people to sit and watch. The surface of the range is very unusual. As you can see from the pictures it looks like hitting on the surface of the moon. For whatever reason the entire hitting area is covered in what appears to be sand. I presume there is grass underneath. 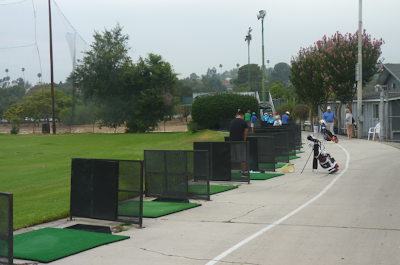 The hitting area is large and very wide with plenty of targets to hit at. 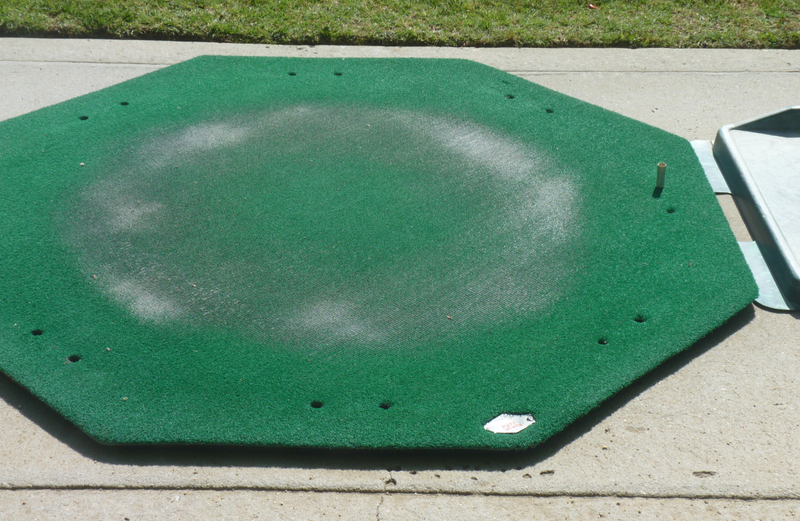 I personally can not adjust to this hitting area. Call me weird, but I like hitting on regular grass. It just seems so unusual to look out at this landscape. 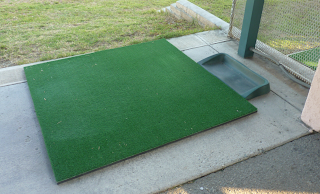 There is a small putting surface, but it is pretty much useless. It is in disarray and need replacing. 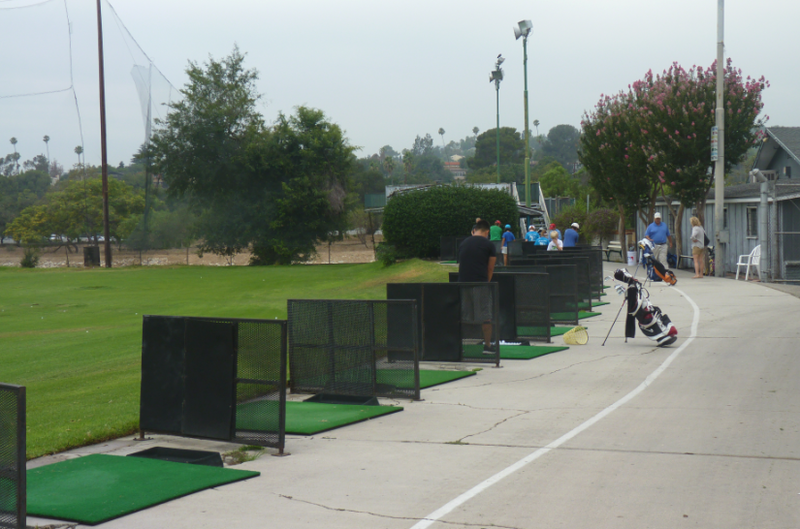 They offer lessons at John Wells and have several professionals with bio’s listed on their website. 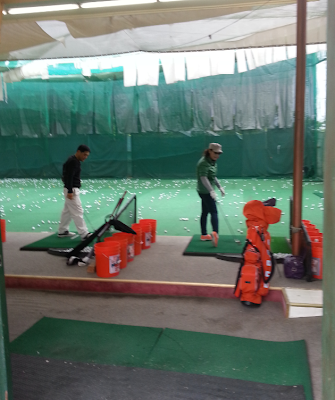 Private lessons are $40 per half hour, 6 for $200. Which is reasonably priced. However if you want the video analysis they charge an extra $5 per lesson. From my experience the video analysis is a must. You can really see your swing mechanics and what needs to be corrected/ improved. John Wells has a lot of promotions. 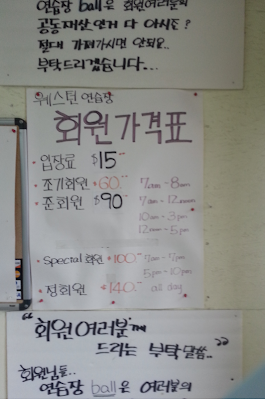 They have an “all-you-can-hit” for $20 if you go before 4pm. Also they have a website and Facebook page where they have coupons and other promotions. 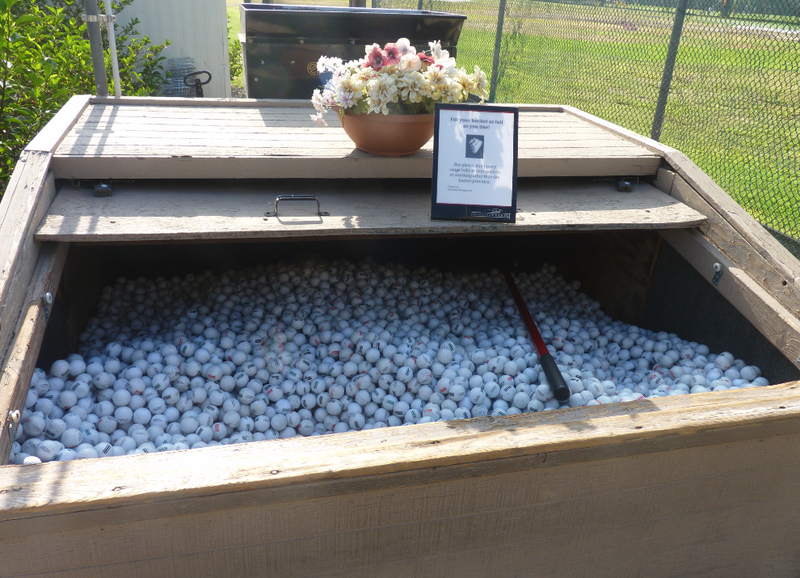 I noticed they have a marketing campaign linked to hitting a lot of golf balls – with a basket containing 550 balls! I could not imagine hitting anywhere near that many in one sitting. 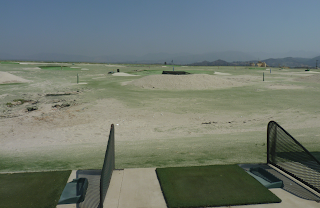 When visiting a range it is about quantity not quality. You should take your time and think about each hit, using your usual pre-hit routine. If you just step up and fire off balls like a machine gun, you are not really going to achieve to anything from the practice session. 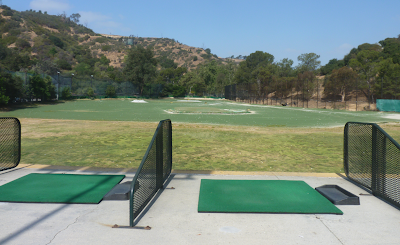 Overall the range is in good condition and very large. The back fence is 260 yards. I just wished they replaced the hitting surface with conventional grass. As it stands I would personally rather just go to the De Bell range which is 10 minutes down the road in Burbank. 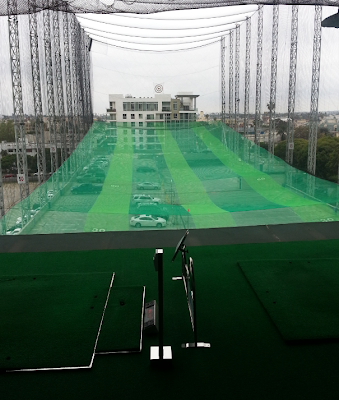 The Aroma Golf Academy is located in the Koreatown area of Los Angeles (Wilshire/ Serrano). 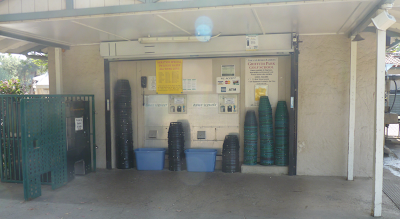 If you are staying in downtown Los Angeles, then this is probably the most convenient location for you. As it is in the center of the city parking can be tough. There is an underground parking lot and at the time of this post, it is free for 3 hours if you use the golf facilities. 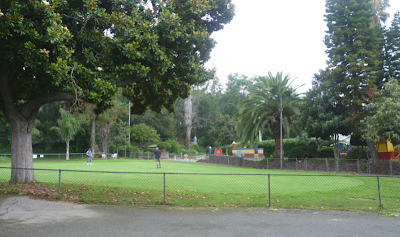 In addition there is street parking with parking meters varying with 1 and 2 hour time limits. This range is the kind which you see on TV in places like Japan. It is high (4 stores, each with 15 stalls) and crammed into a dense city area. I am not a big fan of heights, so try to keep to the lower levels if possible. The range can get extremely busy. In fact I would recommend that you probably should avoid it at peak times. They have recently started an allocation system. Which means when you pay they give you a stall number. So there is no longer the experience of walking up and down all of the stairs (there is also an elevator) in order to find a vacant stall. Talking of paying, you literally need a degree in mathematics to figure it out. It is so overly complicated. 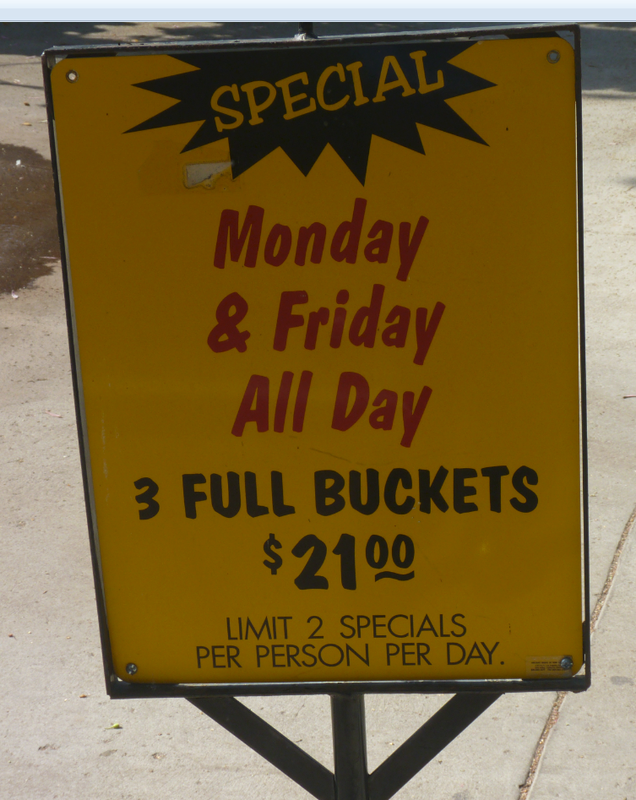 They have three different plans and then the price changes according to your stall. 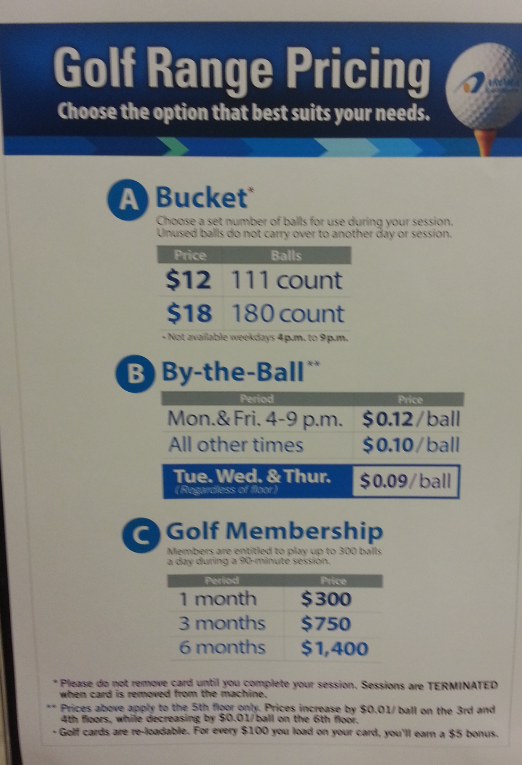 The higher you are, the cheaper it is. 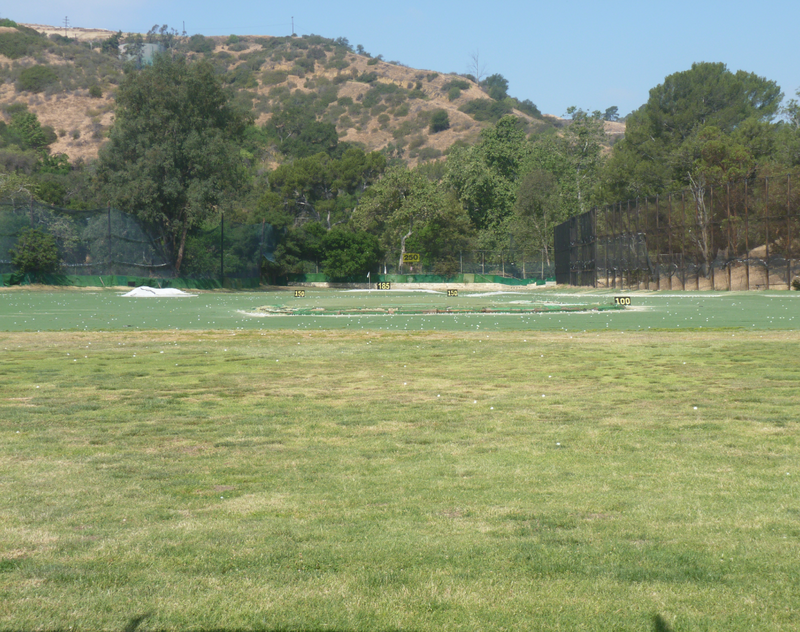 The range is 150 yards long. That is a negative for me as you can not really see how your drives turn out. 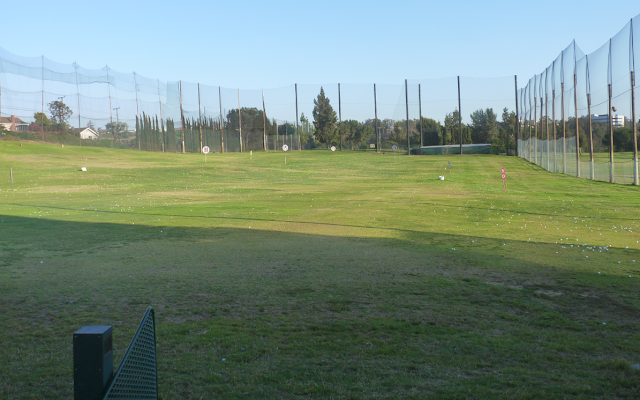 That being said it is good for practicing irons. You hot out into the range which has a giant net at the bottom. 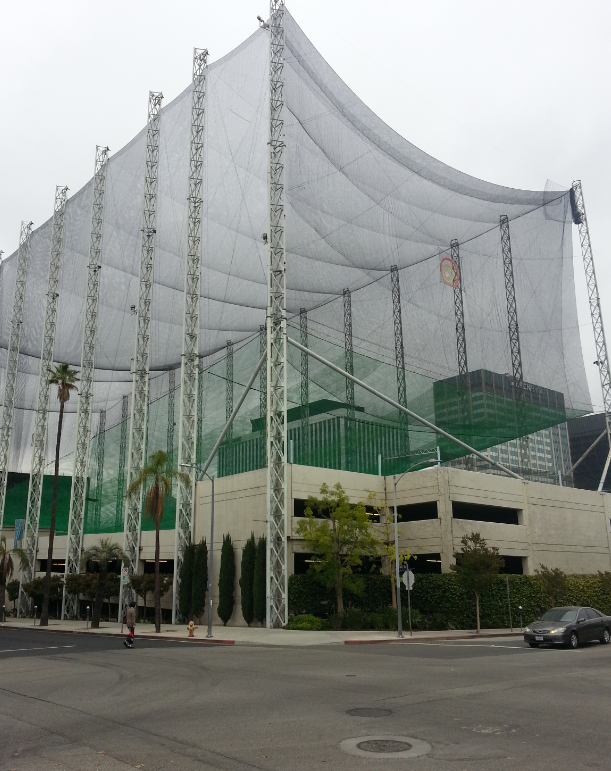 The net is sloped so that all of the balls roll back to be collected. 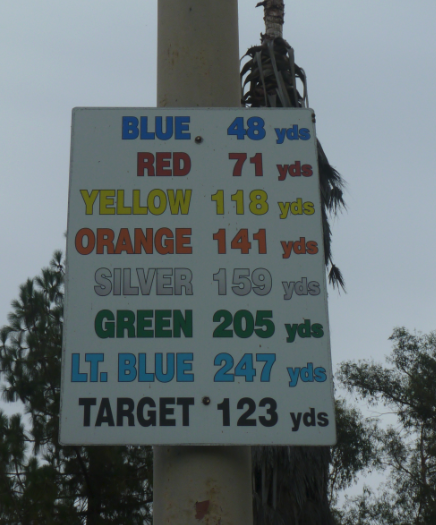 There are a few flags indicating distance, but generally due to the size of the range and the netted hitting area, there are no greens to shoot to. 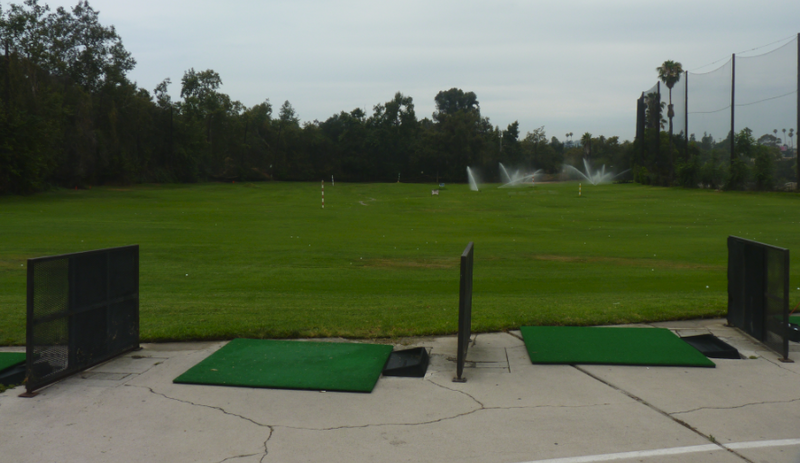 Now, the best part of this range… it is automated! 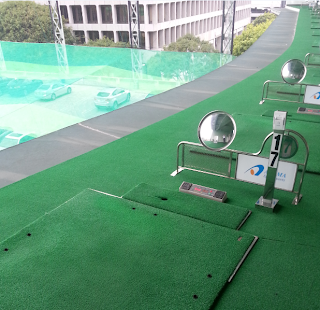 The balls automatically pop up from the floor and onto the tee. 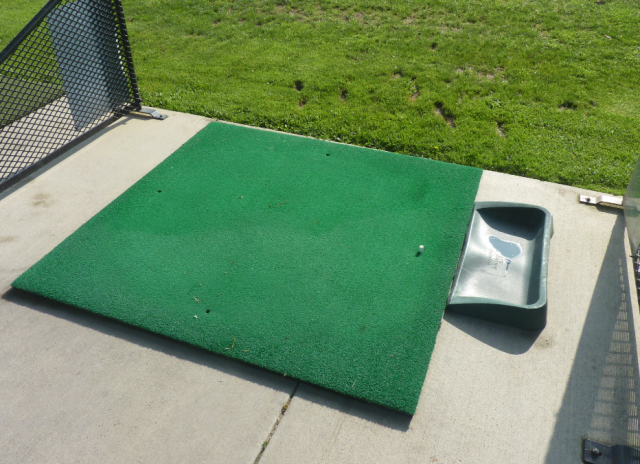 As it is automated there is no need to bend down and pick up a ball to put it on the tee. 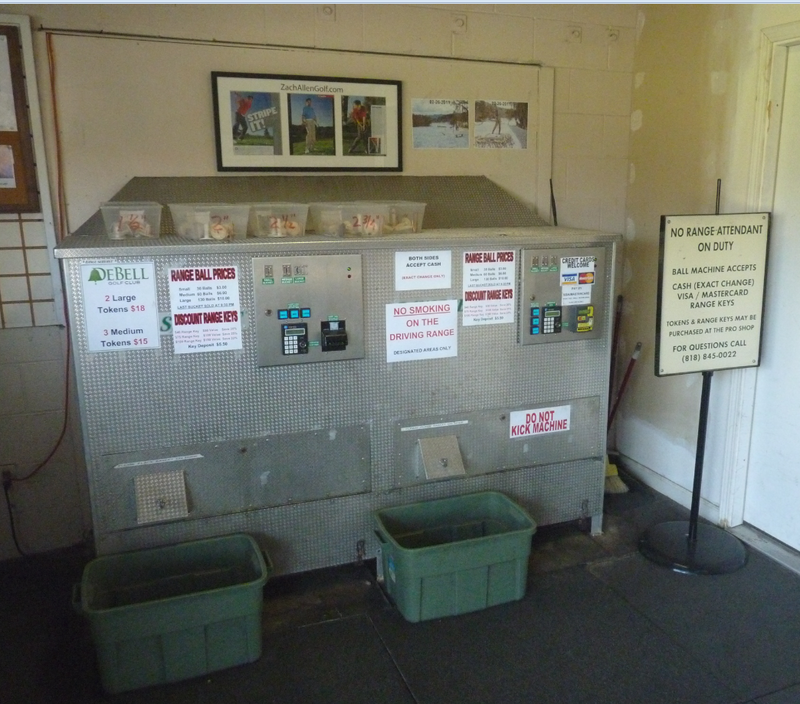 This is clever from a business sense as it speeds up the process. 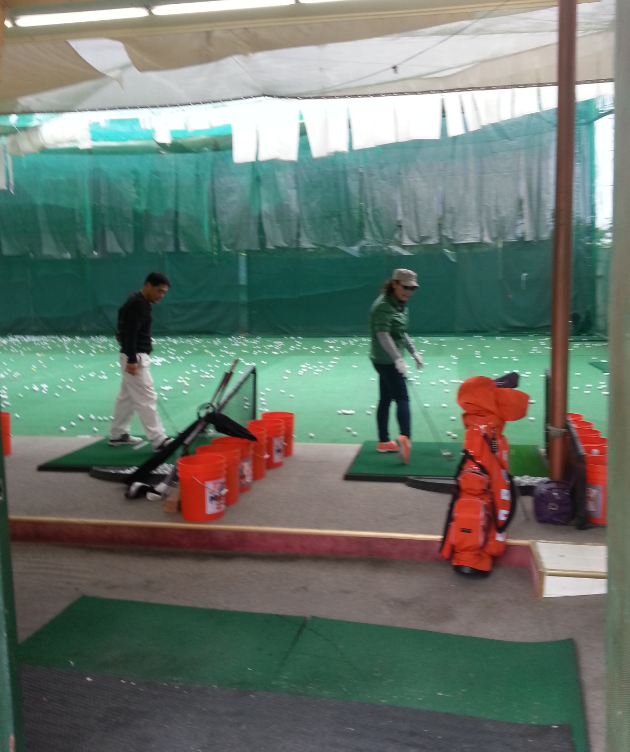 People hit more balls – thus spend more. 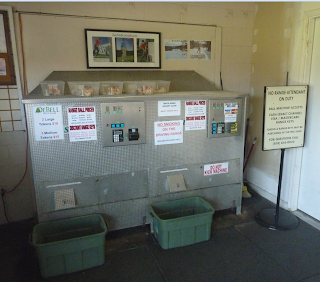 As it is all automated, there is obviously no need to buy or bring tees. There is a smoothie bar at the range; then additional food/ drink places (including Starbucks) located in the adjoining building. I believe there is also a spa, gym and swimming pool at this location. 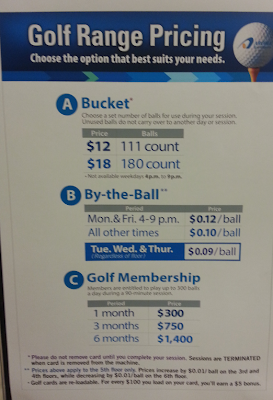 But a membership is required to use those facilities. 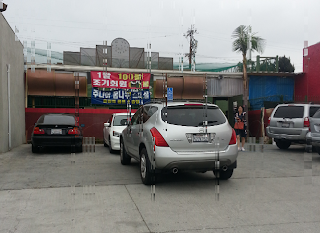 The other people frequenting this location and some of the staff are not that friendly or engaging. It is pretty much a place where you put your head down and just concentrate on hitting your shots. I love all of the technology, but due to the popularity of the place, traffic in Koreatown (some of the worst in the country) and my dislike of heights, I do not go to Aroma all that much.